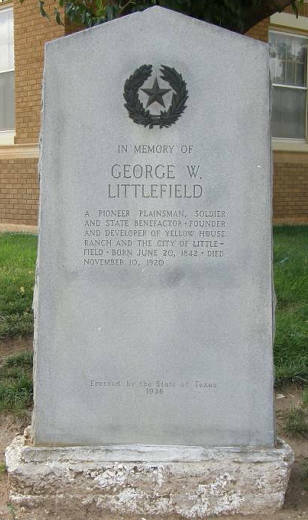 A Mississippian by birth, George Washington Littlefield entered Texas in 1850 at the age of eight. The family settled near the present-day ghost town of Belmont (Gonzales County). 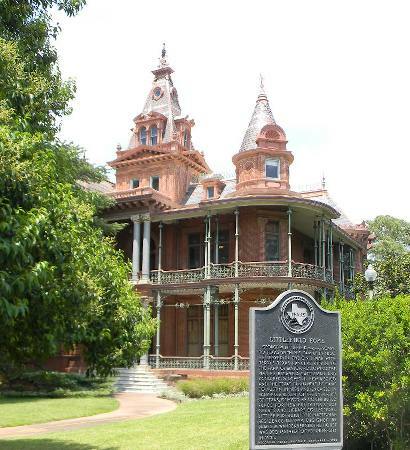 George attended one year of college at Baylor (then in Independence, Texas) but his father�s death pulled him out to manage the family plantation, which was near the junction of the San Marcos and Guadalupe Rivers. 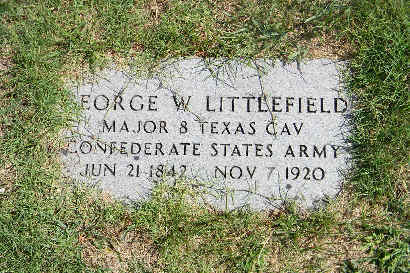 At the outbreak of the Civil War, Littlefield enlisted in Terry�s Texas Rangers. He served as an acting commander in the battle of Shiloh and was elected commanding officer of Company I in May of 1862. He commanded the company through the battles of Perryville and Chickamauga. He married in January of 1863 during a trip back to Texas to recruit replacements. Severe wounds received at Mossy Creek (Tennessee) in December of that year nearly cost him his life. He was kept alive by his boyhood servant and just barely pulled through. His wounds made him a full major but ended his military service. He was discharged and returned to Gonzales County to begin a long recuperation. Two consecutive floods (1869 and 1870) washed out the plantation�s bottomlands and Littlefield teetered on the edge of bankruptcy. The only thing in abundance in Texas at that time was longhorn cattle. 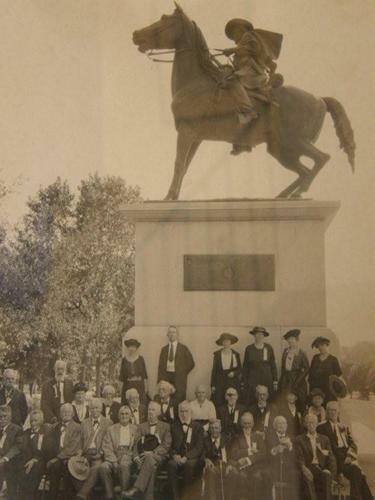 Littlefield decided to leave farming and drove his first herd to Kansas � resulting in a profit within 90 days. He shrewdly anticipated that the growth of railroads would eclipse the need for cattle drives and he began establishing ranches in Texas and New Mexico � one of which was the Yellow House Ranch � the site of what would become Littlefield, Texas. 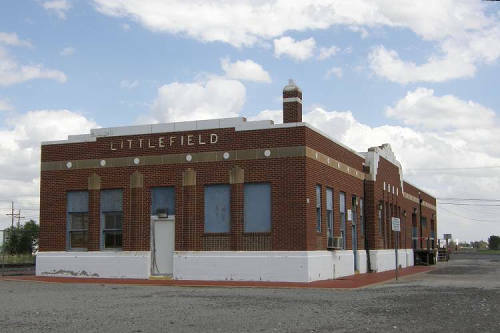 Littlefield moved to Austin in the early 1880s. 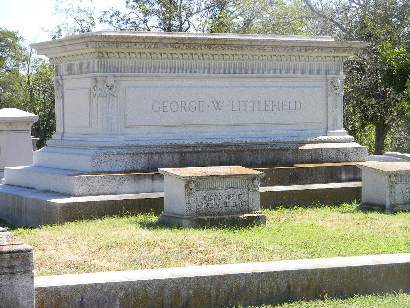 Having two children die at birth, the Littlefields had no heirs. George engaged his twelve nephews and seventeen nieces in his various businesses � insuring loyalty and tight management. He organized the American National Bank - first located in the Driskill Hotel. 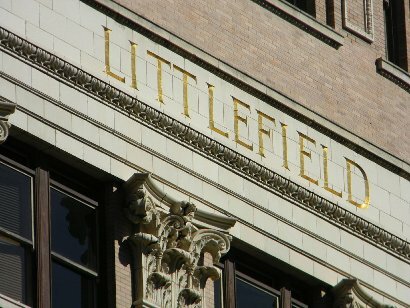 In 1910, he laid the cornerstone for the beautiful eight-story Littlefield Building. 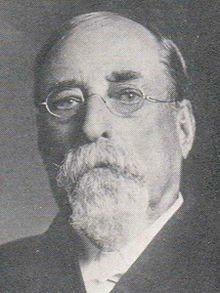 Littlefield was made a regent of the University of Texas in 1911. He was the largest benefactor to that institution in its first 50 years, giving $3 million toward its improvements and maintenance in the last nine years of his life. 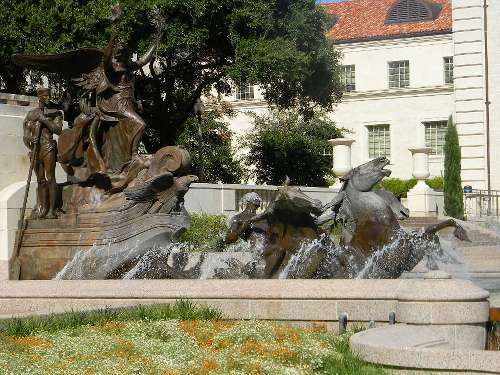 Littlefield also financed Pompeo Coppini�s grand opus - the Littlefield Fountain on the campus of UT - designed to be a WWI memorial for UT alumni killed in the "War to end all wars." Perhap�s Littlefield�s most striking gift to the university was his residence. Littlefield died at this house November of 1920. 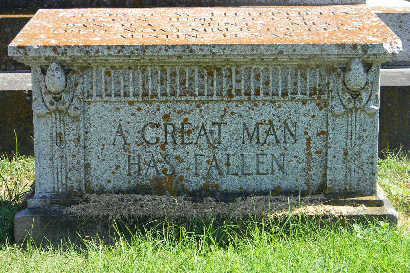 He was interred in Austin�s Oakwood cemetery, joined fifteen years later by Alice. 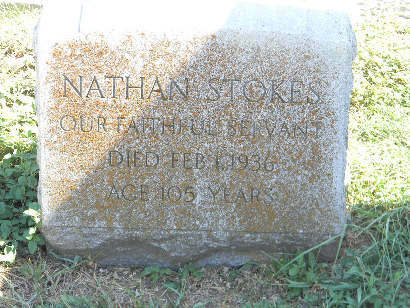 Close at hand is the grave of Nathan Stokes, Littlefield�s lifelong servant who had saved his life during the war. Stokes served George from the time he was a boy - first as a slave and then as an employee, surviving GWL by 16 years and dying at 105 years of age.